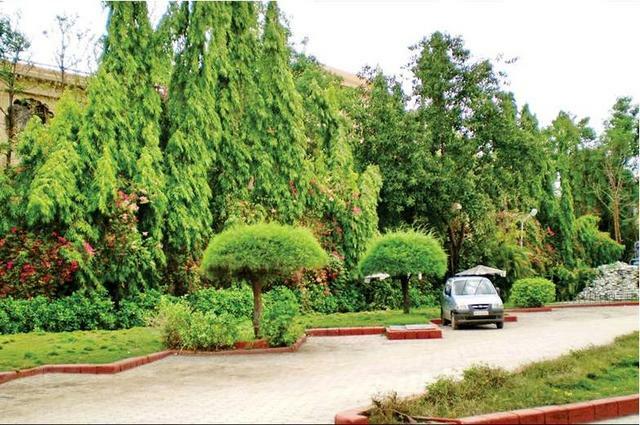 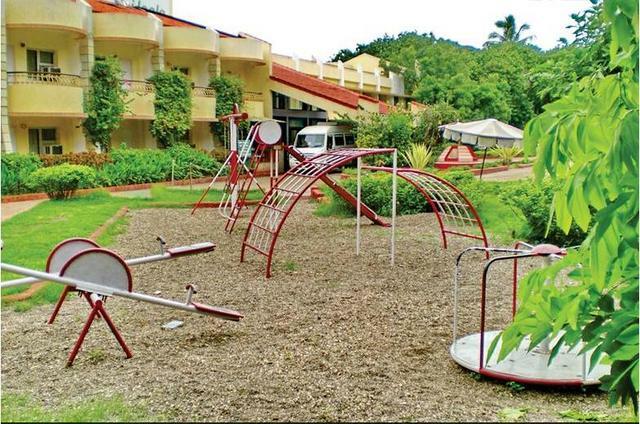 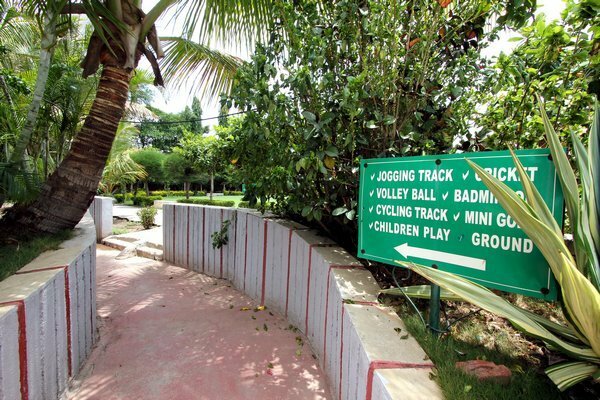 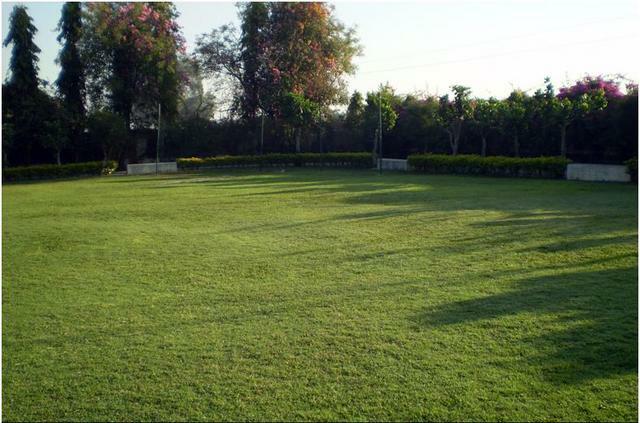 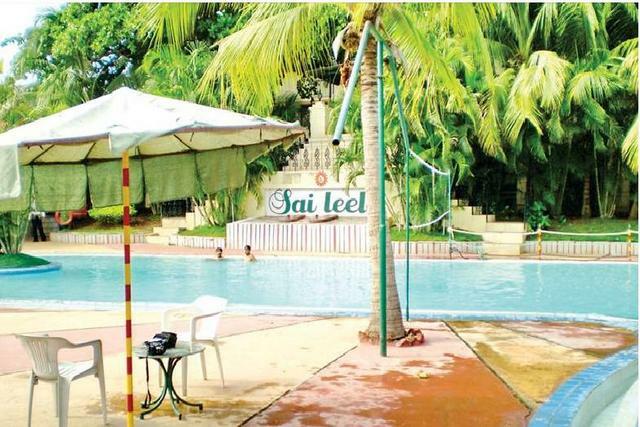 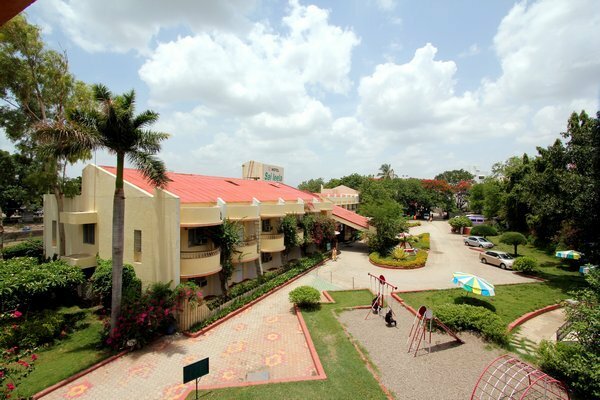 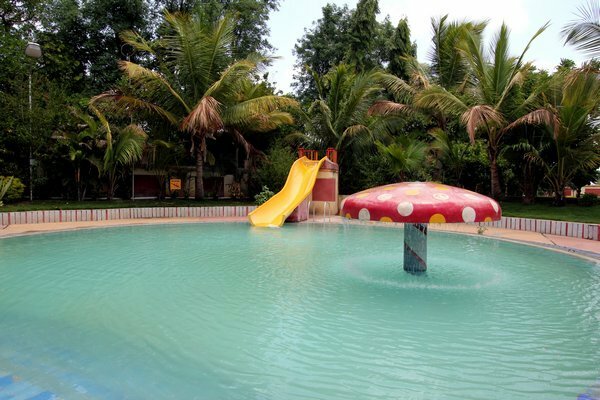 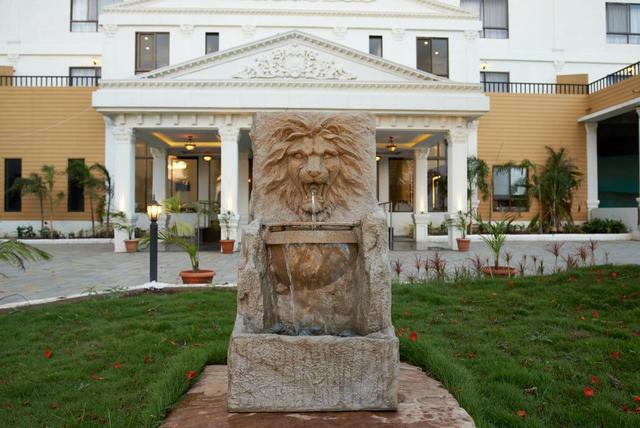 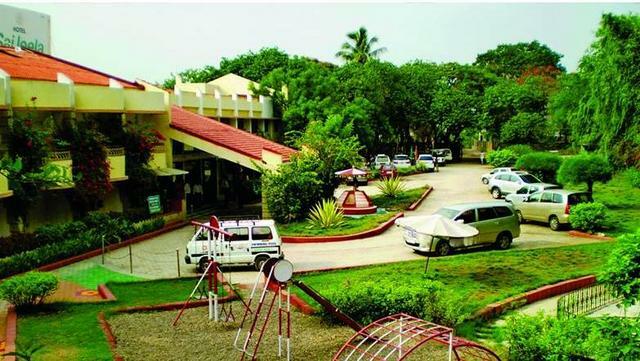 Located a 500 meters away from Sai Baba Temple, this hotel is decked with lush lawns and gardens. 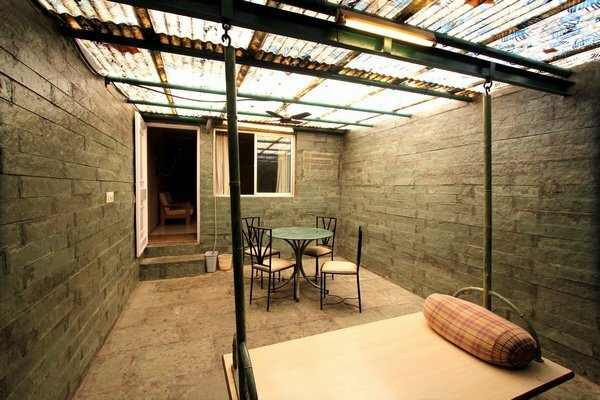 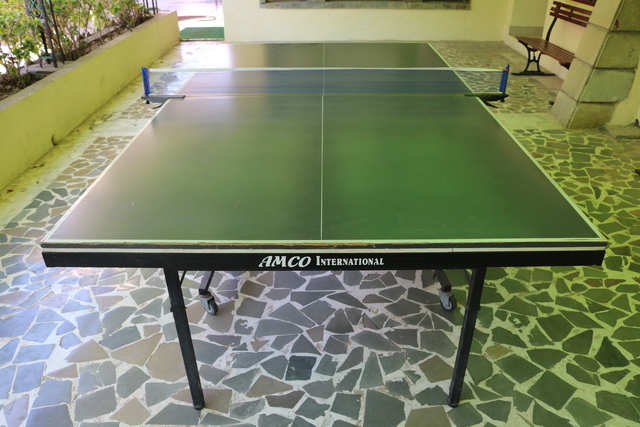 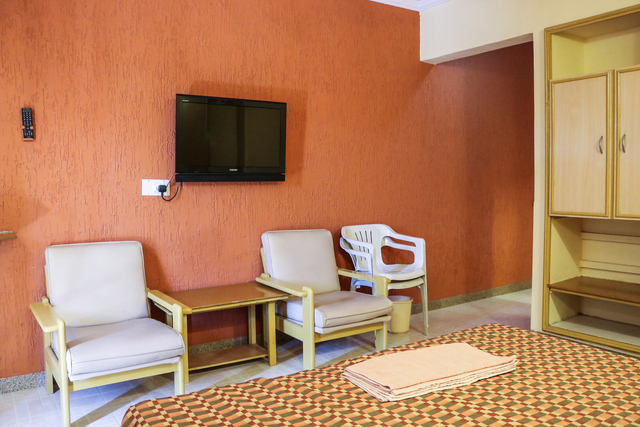 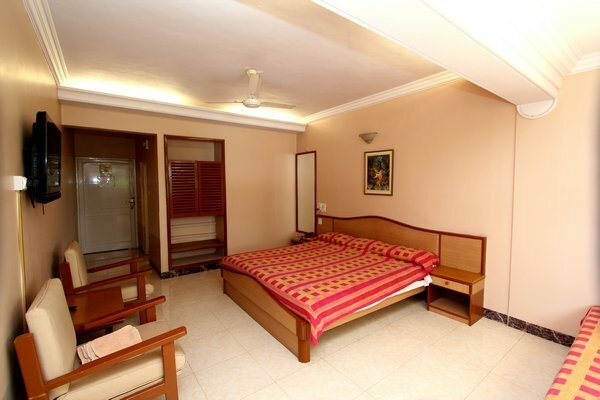 The rooms are well-furnished equipped with a range of amenities. 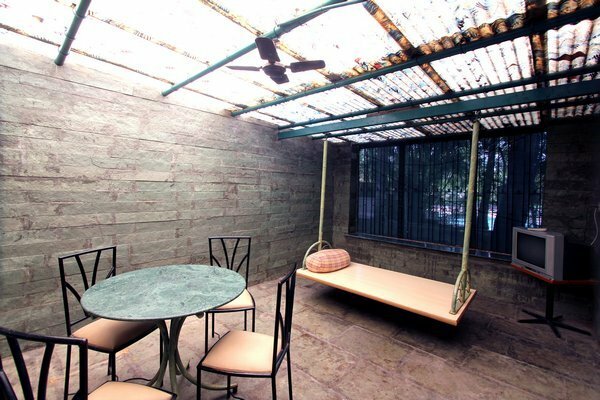 A beautiful pool area amidst the gardens enhances the charm of this property! 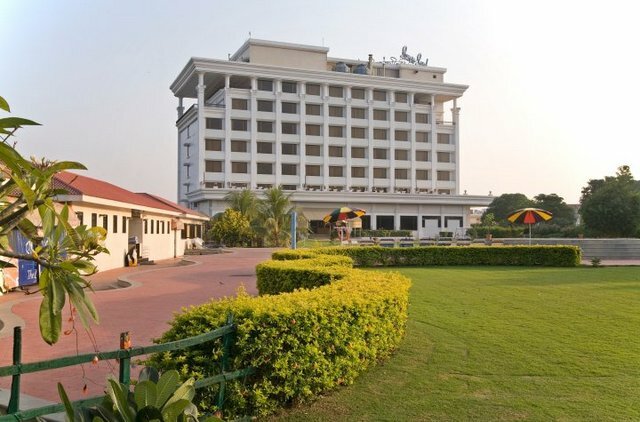 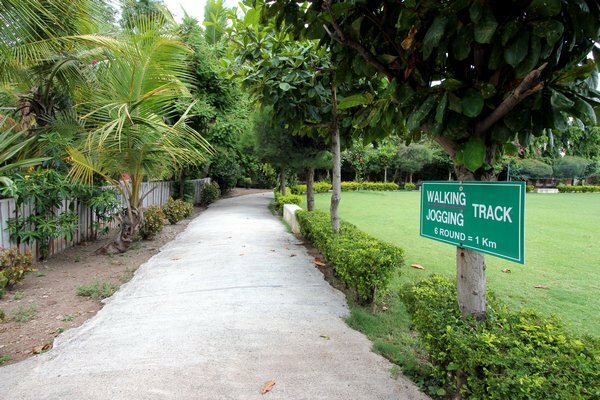 Hotel Sai Leela Shirdi is surrounded with lush green landscaped garden, where Sai devotee's can relax rejuvenate, meditate and have a joyful & blissful experience. 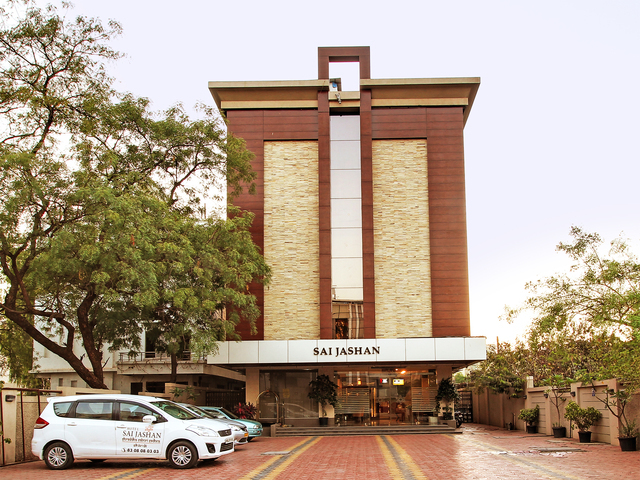 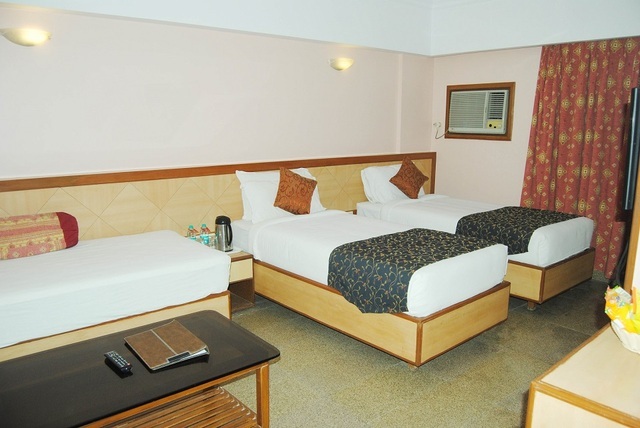 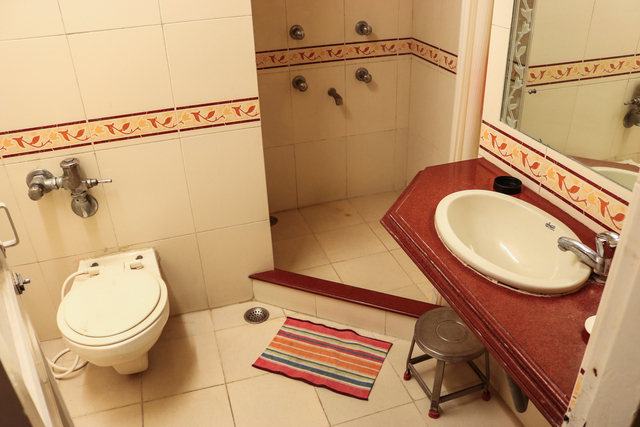 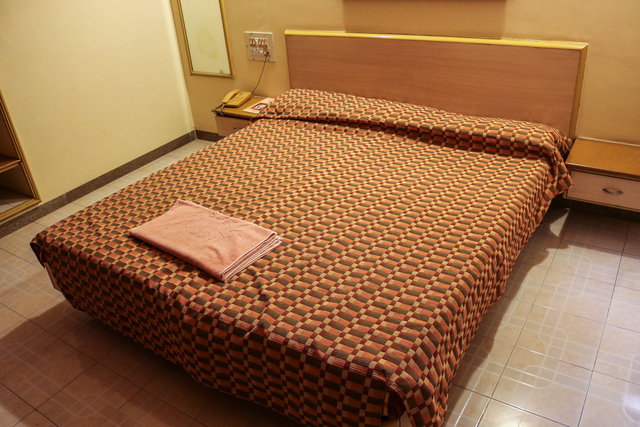 The hotel strives to provide clean reasonable accommodation for the Sai devotees and tourists in the city. 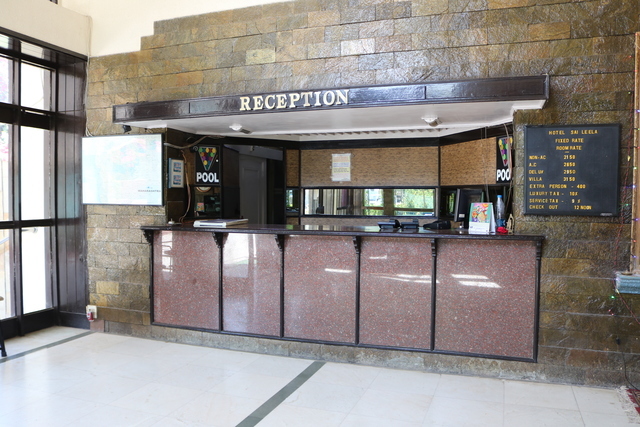 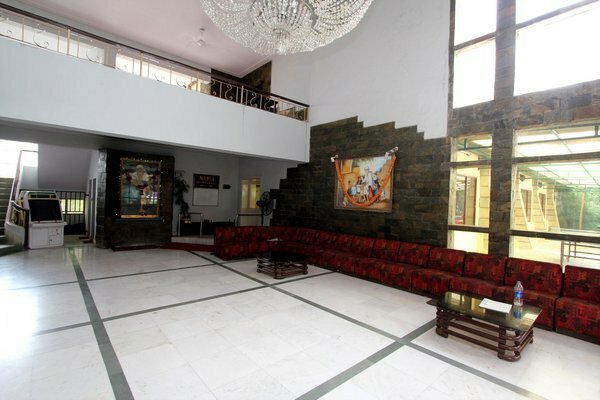 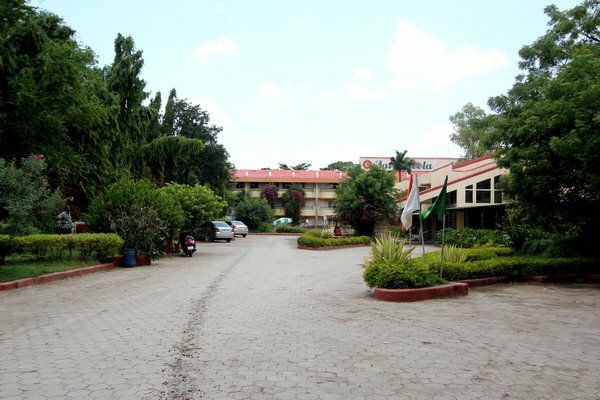 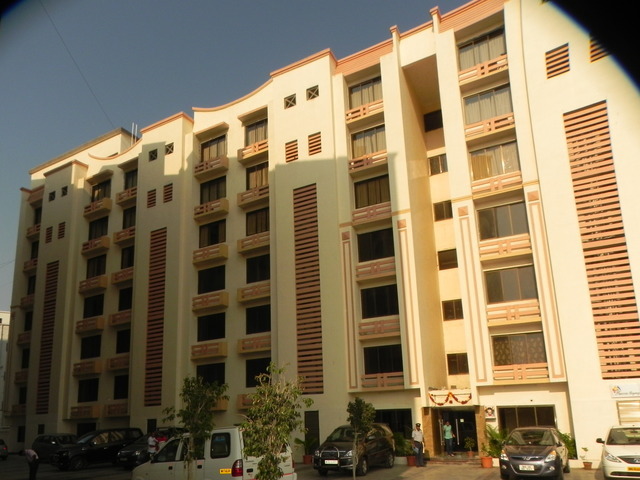 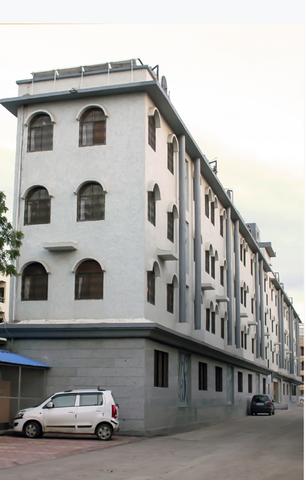 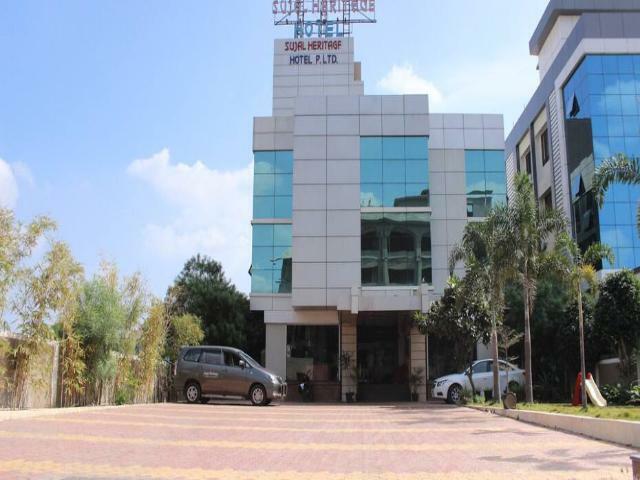 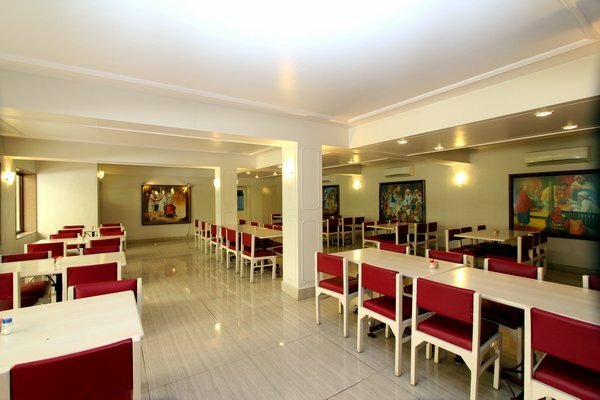 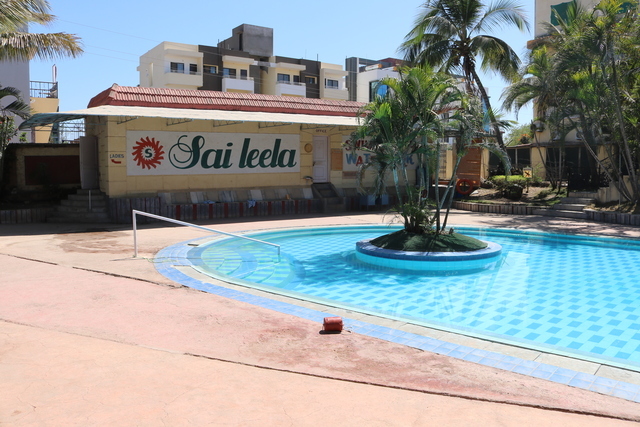 The hotel is easy to locate, which is at a walking distance to the famous Shirdi Sai Baba Shrine. 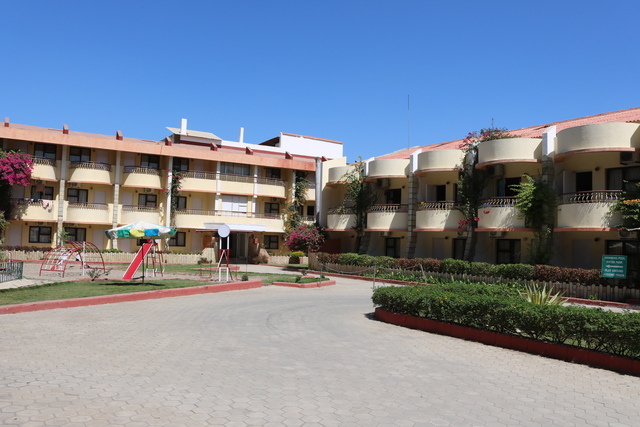 Manmad Railway Station is 50 kms while Nasik railway station is 80 kms. 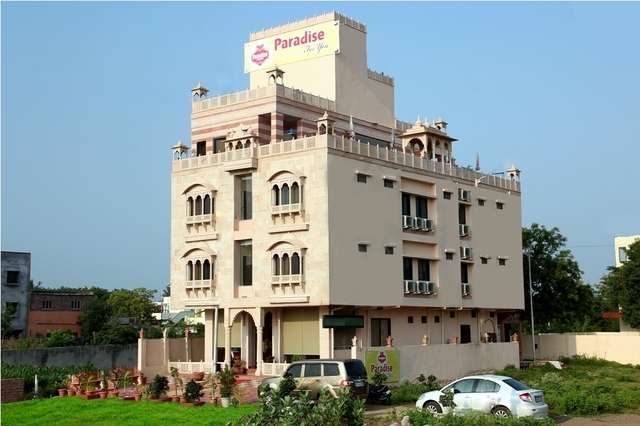 The distances to some of the cities well connected with Shirdi are; Nashik 85-90 Kms, Pune 184 Kms, Mumbai 260 Kms, Baroda 245 Kms and Manmad 52-55 Kms. 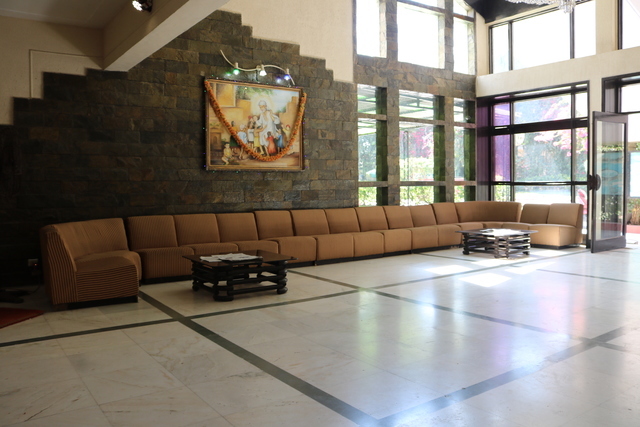 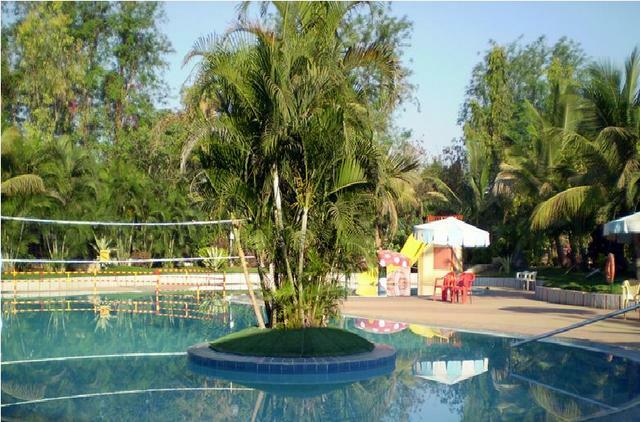 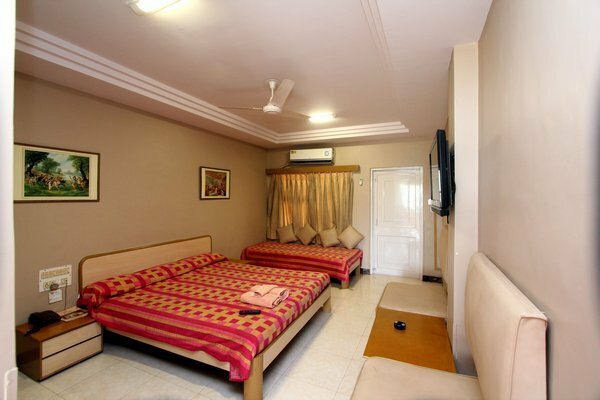 We provide exquisite facilities as compared to other Shirdi hotels. 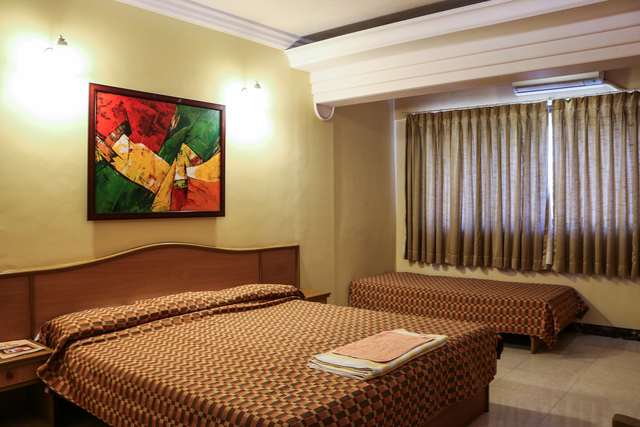 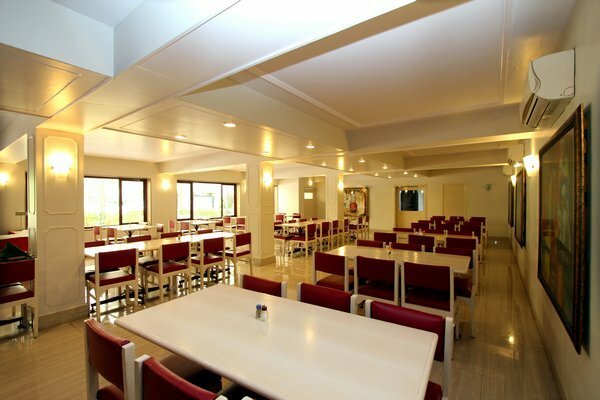 The stylish interior of the hotel offers our guest all the warmth with state-of-the art convenience and amenities. 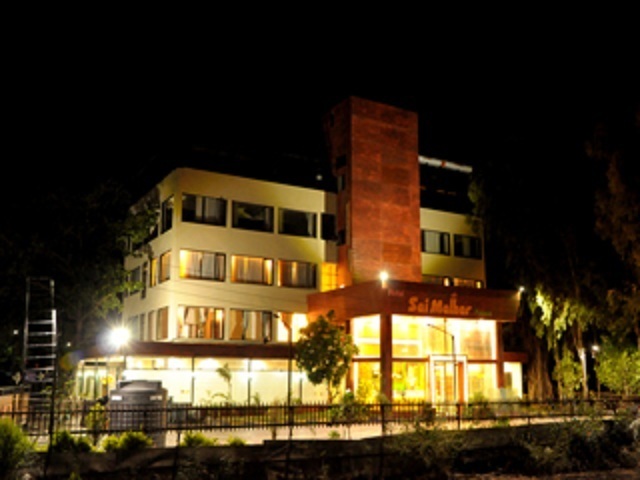 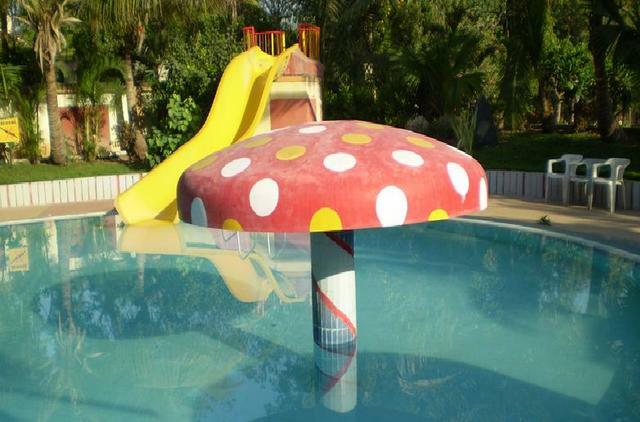 The hotel offers outstanding personal services complimented with charm and comfort. 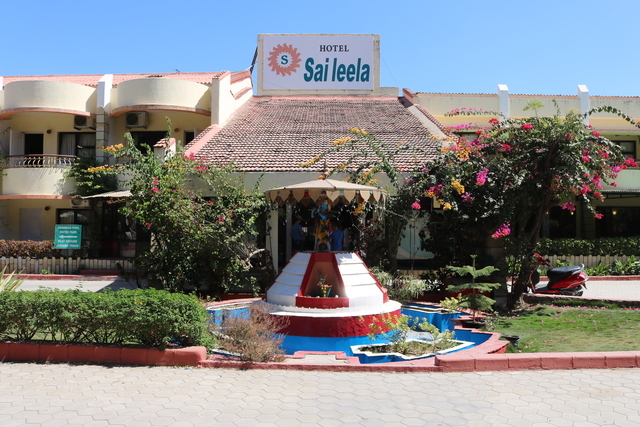 Guest can enjoy the round the clock service provided by the hotel along with free transport facility to the Sai Baba temple. 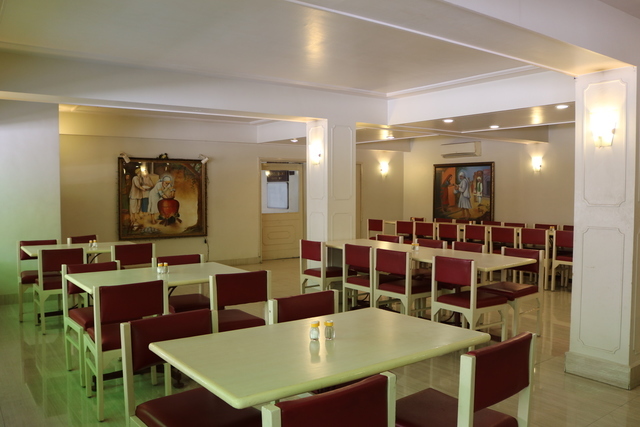 Nandi is the in-house multi-cuisine restaurant that offers a gamut of delicious dishes. 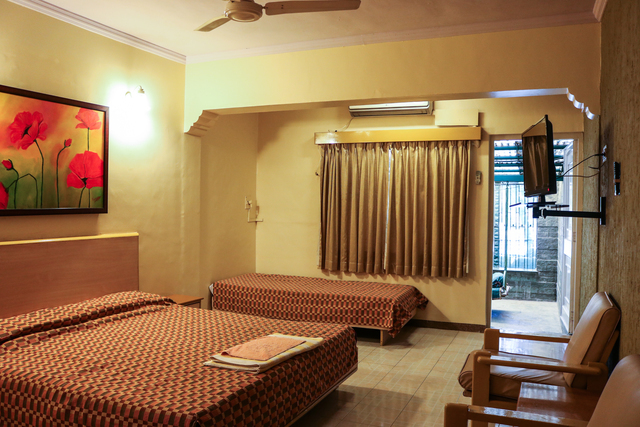 Hotel has and spacious rooms for guests to lounge around in. 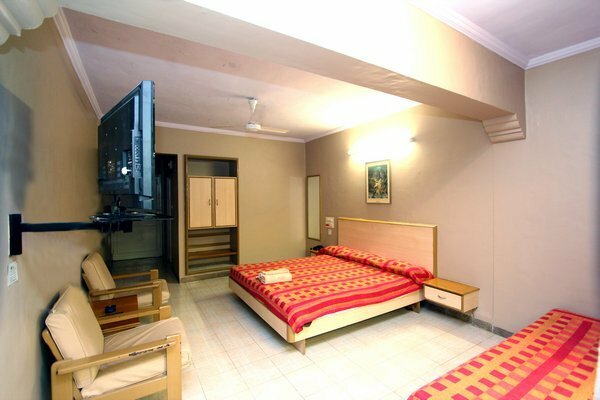 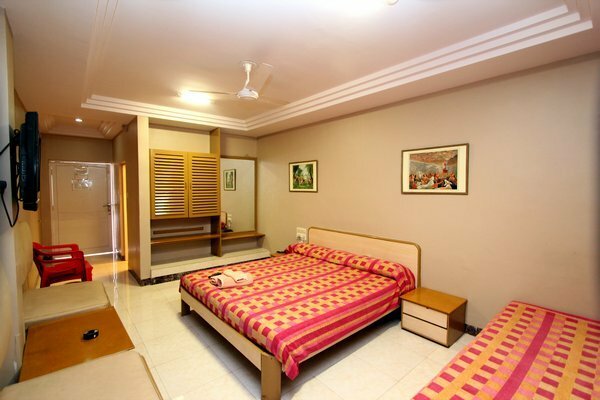 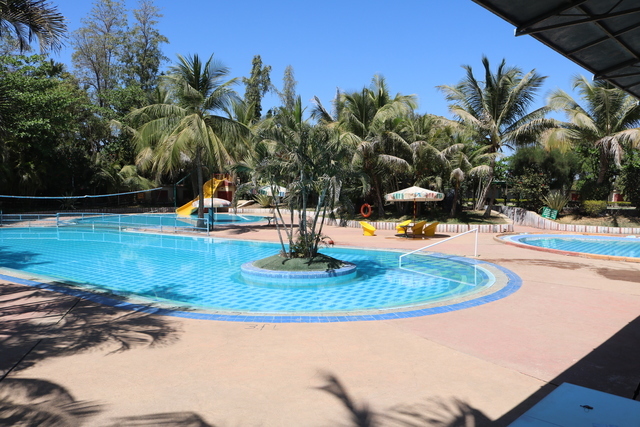 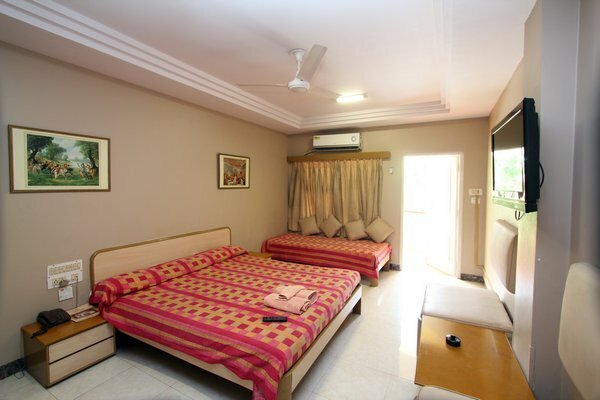 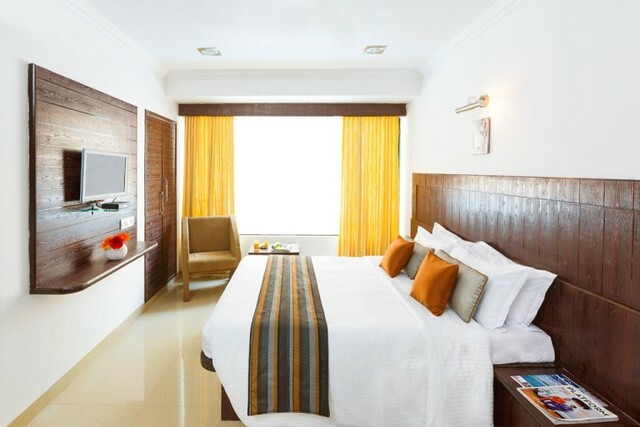 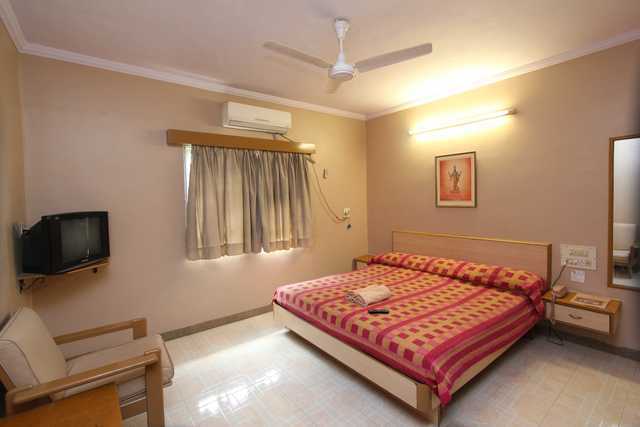 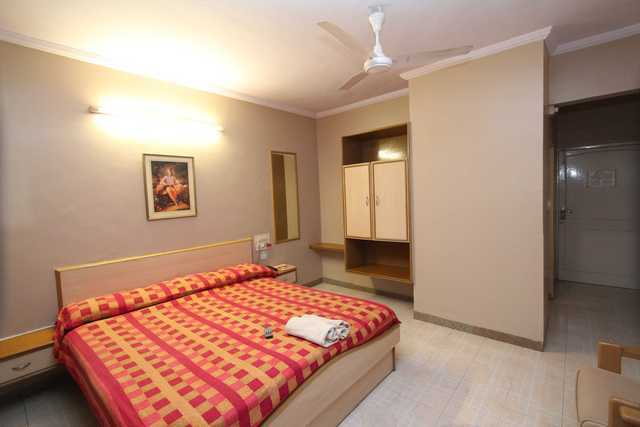 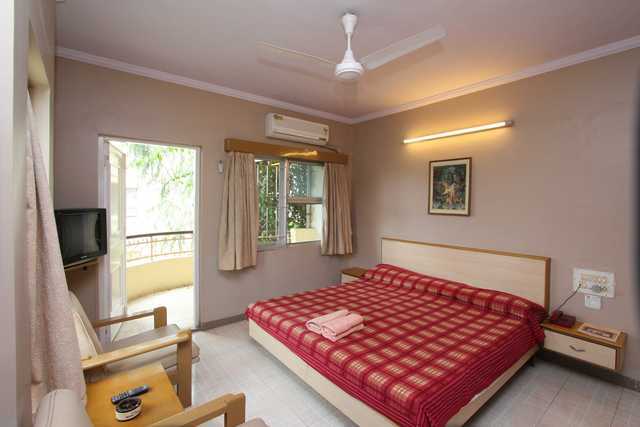 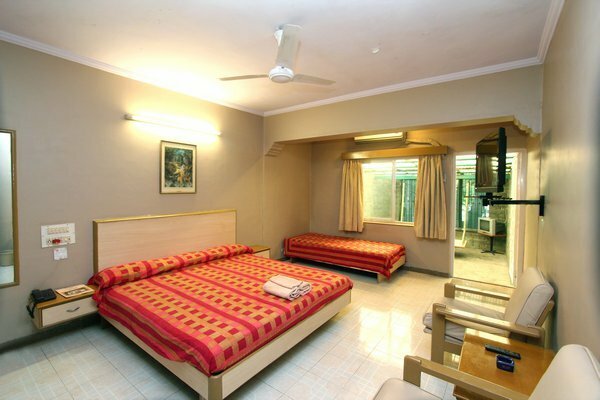 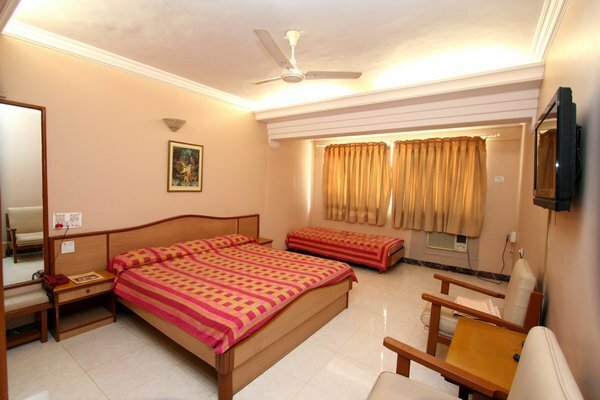 Guest can choose from AC to Non AC rooms in different categories as per the requirement. 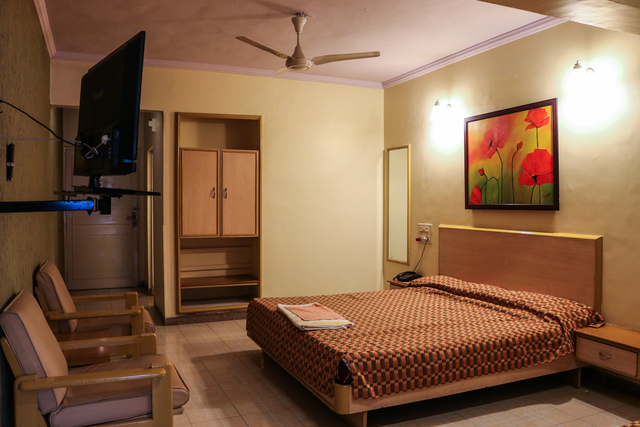 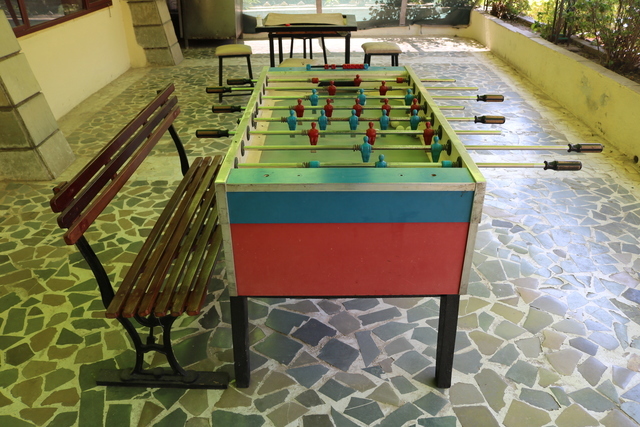 All the rooms have television, telephone and attached bathroom with basic toiletries.